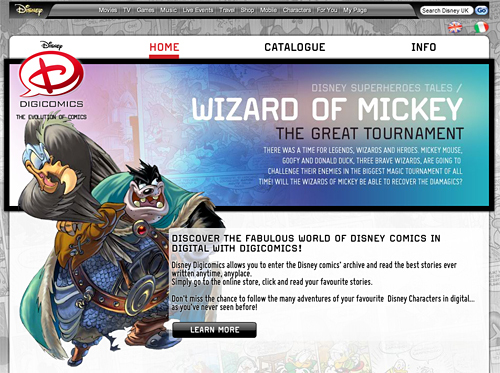 Disney Publishing Worldwide is working on bringing traditional Disney comic stories to the digital age by making them available in ‘animated’ format (with the panels scrolling by) on mobile devices around the world. 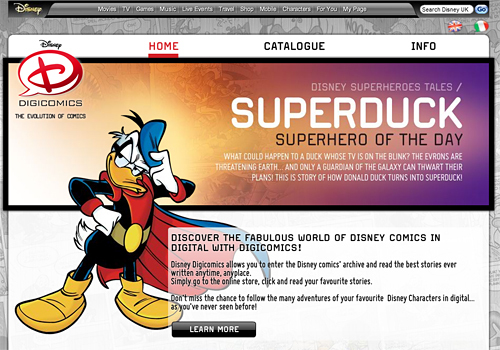 I first learned about Disney DigiComics back in July and then they were reported to target a launch by the end of this year. 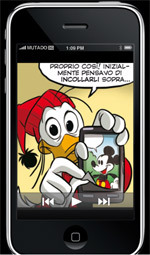 Today I’ve received some new information about this exciting project from the DigiComics team in Italy. 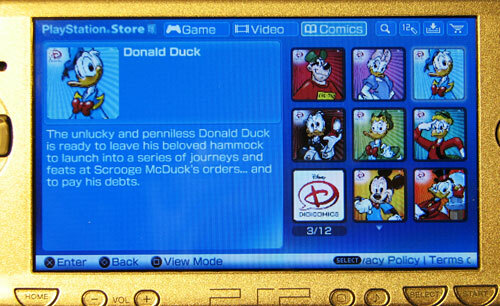 Disney DigiComics has an ambitious rollout schedule. They are still planning to release them this year! 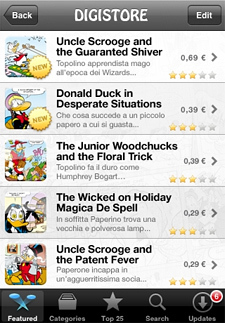 In December they will first be made available in Italy and English speaking countries, including the United States. 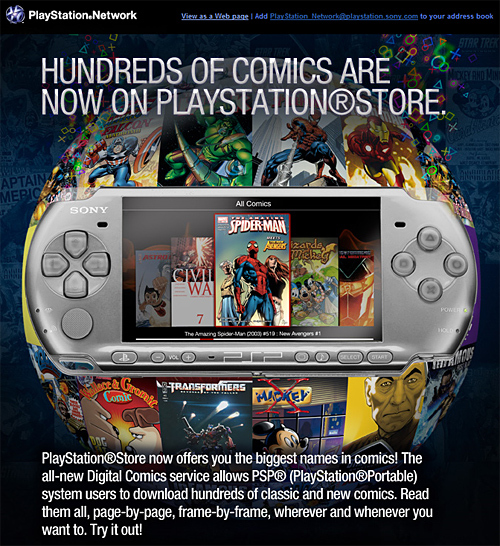 This will be on Apple iPhone, iPod and Sony PSP. 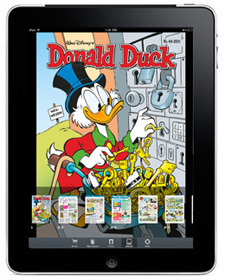 In the new year, DigiComics will enter some countries where Disney comics have a strong history and the paper versions are already read by millions each week: Germany, the Nordic countries and the Netherlands. 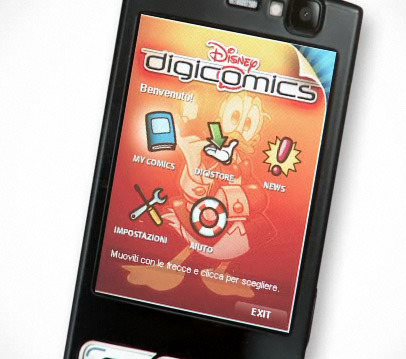 Later in 2010, DigiComics will become available in France, Spain, Poland and other countries like China and India. 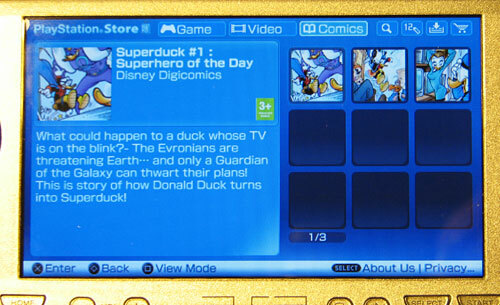 More platforms will be added throughout next year as well, including Nokia phones, Nintendo and more.